Marnie provides counseling, educational programs, and other supportive services for diverse clients of all ages. 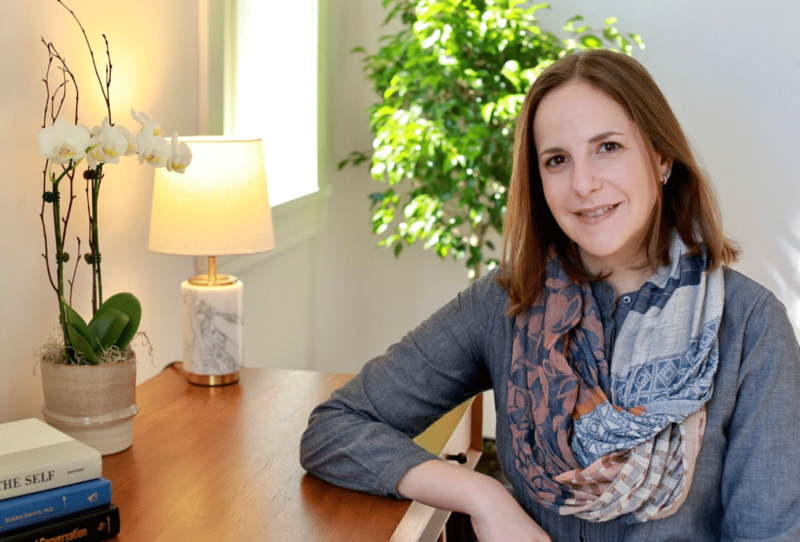 Marnie is experienced in helping clients with anxiety, depression, trauma, eating disorders, substance abuse, relationship issues, gender identity, sexuality, family conflicts, self-esteem, and getting launched in school and life. Marnie provides individualized counseling to help with improving listening and communication, emotion and stress management, problem-solving, and supports related to specific mental health challenges. In couple and relationship counseling, her expertise includes addressing conflict and communication problems, intimacy, sexuality, fertility, parenting, and other needs. Marnie’s therapeutic approach is positive, affirming, and client-centered, and emphasizes providing a relaxed and trusting environment to foster open communication. Marnie draws upon relational psychodynamic, family systems, collaborative solution, and trauma-informed approaches. Marnie is experienced in developing and leading groups for adolescents and young adults, parents, couples, other professionals, and as part of community outreach – about mental health and wellness, parent-teenager communication, LGBTQIA+ issues and affirmative approaches, and the intersections between sexual, relational, and psychological health and well-being. Prior to joining Connections Health, Marnie was in private practice and worked for many years at Response Center providing both short and long-term therapy where she was the Coordinator of the Center for Sexual Health. Marnie attended the University of Illinois at Champaign-Urbana for her undergraduate studies where she majored in Human Development and Family Studies and earned her Masters in Social Work from the University of Illinois at Chicago. Marnie is a Therapist at Connections.